If you are looking for a place to relax and enjoy nature to the fullest – you will be happy that you have zeroed in on Andaman Islands. Andaman and Nicobar Islands are one of the seven Union Territories of India. Comfortably seated on the Bay of Bengal, Andaman and Nicobar consists of more than 500 islands. Tribals inhabit most of these islands and some of the known tribes are Onge, Jarawa, Sentinelese, Great Andamanese, Nicobarese and Shompen tribes. As travellers, we have few islands that allow entry while the rest belong to tribal communities which is mostly restricted. This small island is a photographer’s delight. Be it trekking to mountain peaks, visiting the caves, snorkeling or walking on the sea bed, Andaman Islands is a treat for all. Clear beaches, amazing sunrise and sunset views, colorful marine life and numerous corals studded beaches, this should be a destination that one should not miss. 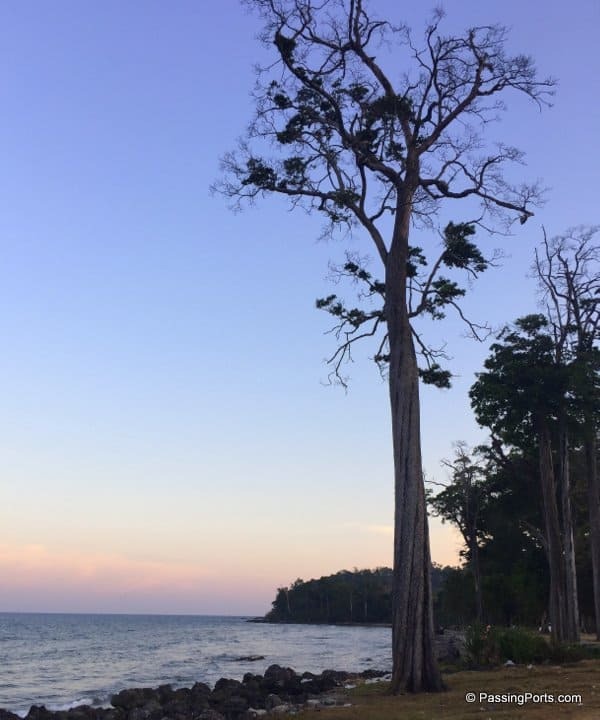 So how many days do you think you need in Andaman Islands? Read below! 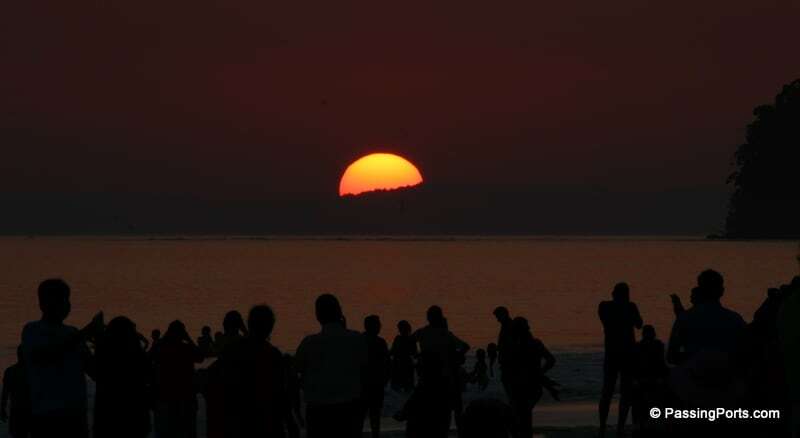 How many days to spend in Andaman? It absolutely depends on what you want to do. If you want to learn scuba diving, then it’s more than a week, however, if you just want to take a break from your hectic life and have fun – between three to five days is ideal. Oh, age no bar as there is something in store for everyone. Underwater walking, snorkeling are some of the must do’s t enjoy the marine life of Andaman Sea. The capital of Andaman, you definitely need a minimum of 2 days to explore this place. 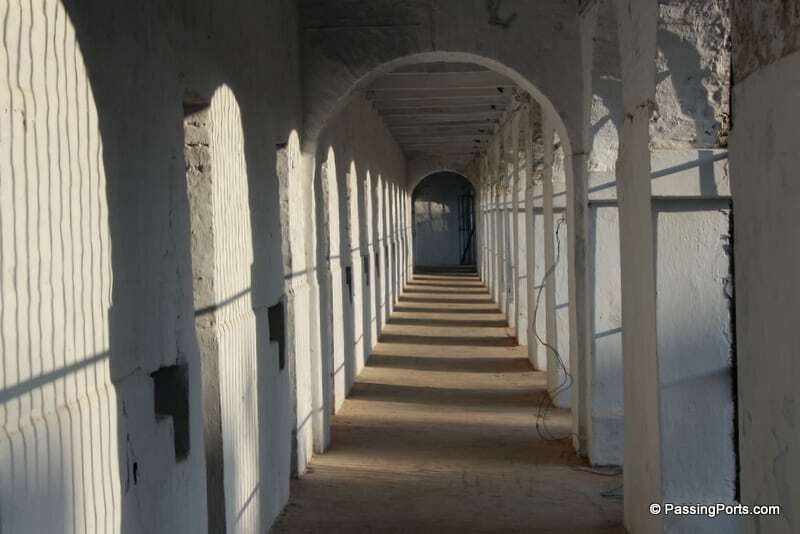 Must Do’s at Port Blair: Cellular Jail (pic above) along with the sound and light show, a visit to the nearby islands such as Ross, Viper and North Bay Island, Baratang Caves, Jolly Buoy Island, Chidiya Tapu and Munda Pahad Beach, Corbyn’s Cove and Wandoor beach. Here is a detailed post on the things to do when in Port Blair. I’ll definitely suggest a minimum of two full days in Havelock. If you are someone who wants to take rest and immerse yourself in beauty, then more than two it is! Catch the one and half hour long ferry to reach this island from Port Blair. You can also quickly pay a visit to the Elephant Island from Havelock for water activities. 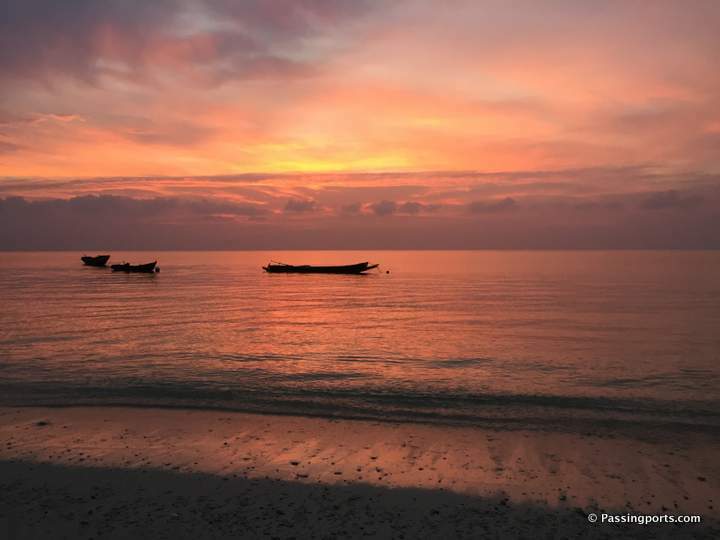 Must Do At Havelock: Swim in one of the best beaches of Asia – Radhanagar beach and don’t forget the beautiful sunset! You will get more information here on where I stayed and what you can do to enjoy this island to the fullest. A very small island yet beautiful. 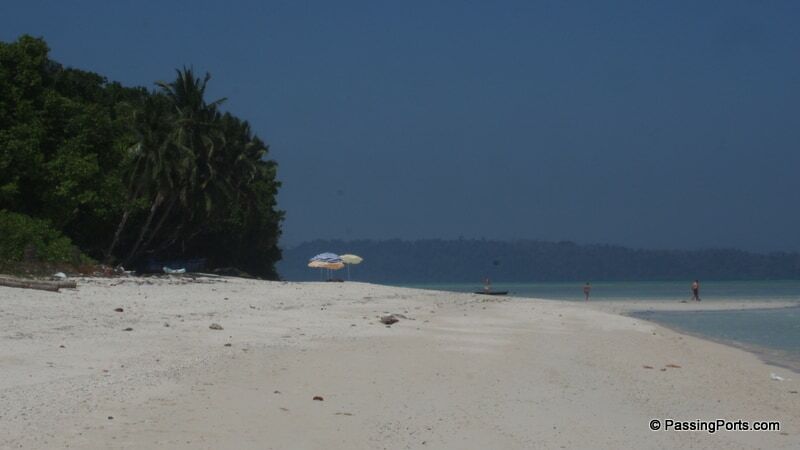 Neil Island is between Havelock and Port Blair and you can stay here for minimum two days. If you decide to visit both these islands, Neil Island will ideally be the last stop before heading back to Port Blair. This island is lush with paddy fields on both sides, this is a paradise for those seeking absolute silence. Must Do’s at Neil Island: Visit the Bharatpur , Sitapur and Laxmanpur beach. 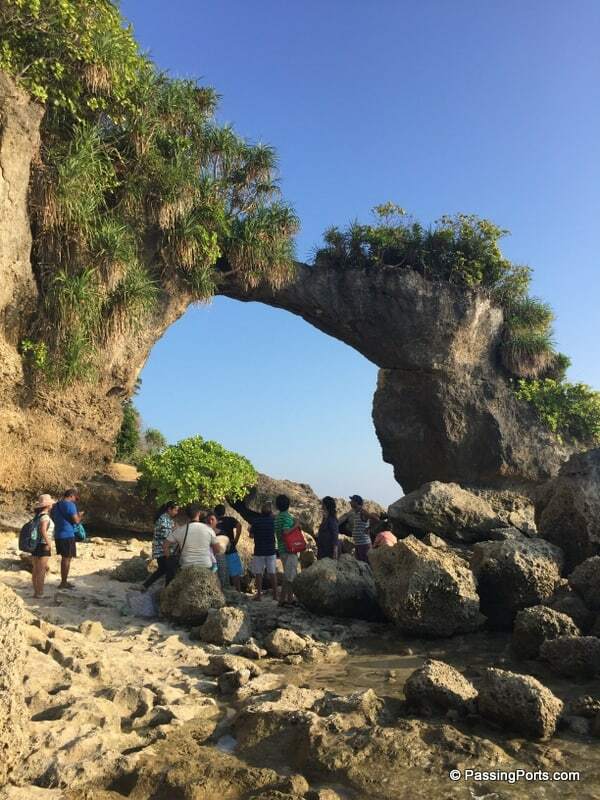 Do not miss the naturally formed bridge when in Laxmanpur beach. This post on Neil Island will offer more info on the place I stayed. Been pouring over your blog for the last few days, very informative! For the first time I am planning a trip all by myself and your blog is coming very handy.